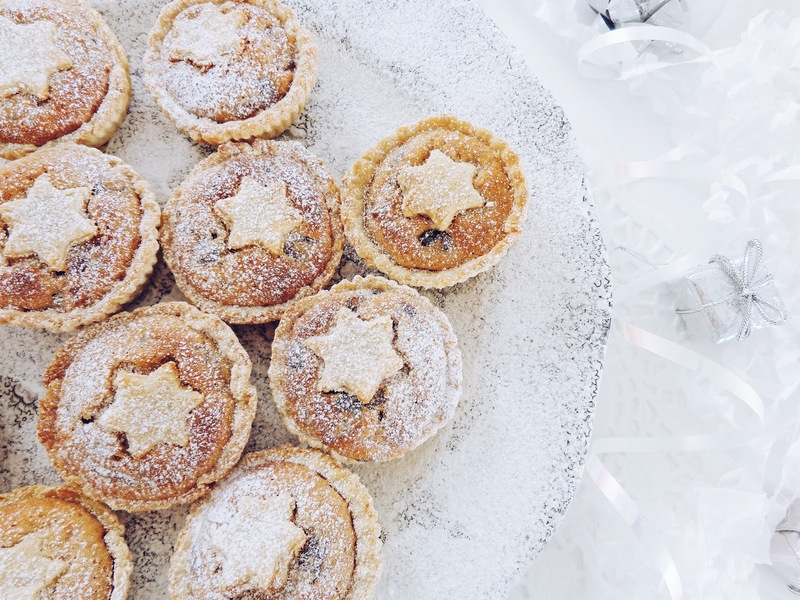 So it is the festive season again and I don't know about you, but it always seems to feel like it comes around faster each year. Maybe it's because the year seems shorter in comparison to the rest of our life as we get a bit older each year, or maybe we are all just getting busier and have more responsibilities now? Who knows. 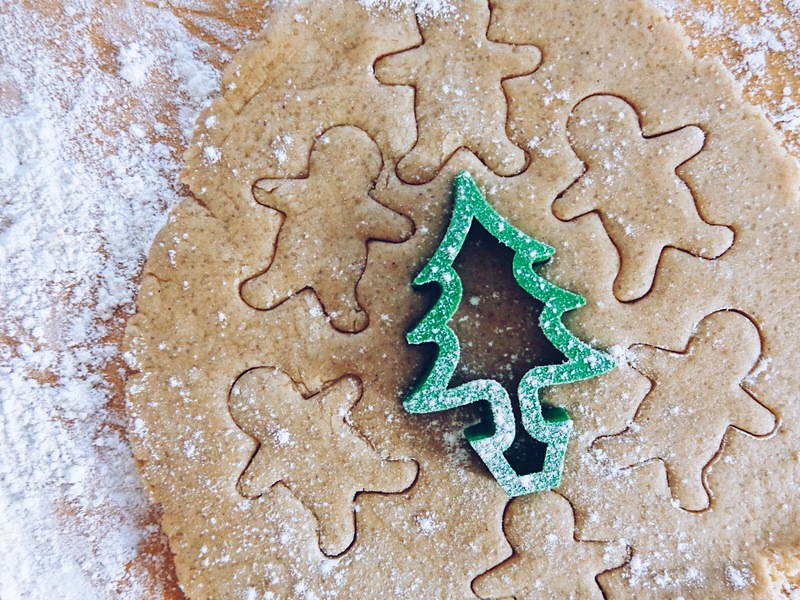 Anyway, today I want to share with you all a blog post on how to ensure you have a relaxing time over Christmas and fully embrace having a breather from work, university or whatever else usually encompasses the majority of your time. 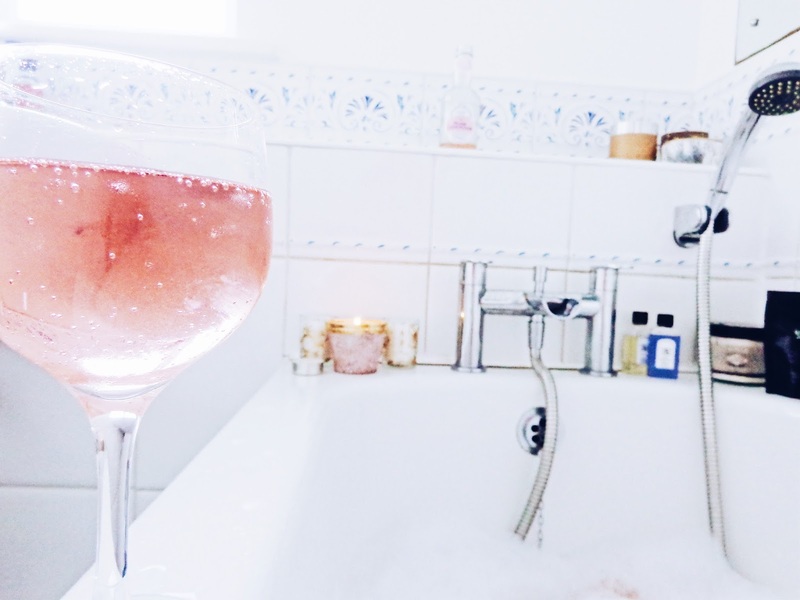 A relaxing bath is one of life's little luxuries that is universally acknowledged but seldom enjoyed. 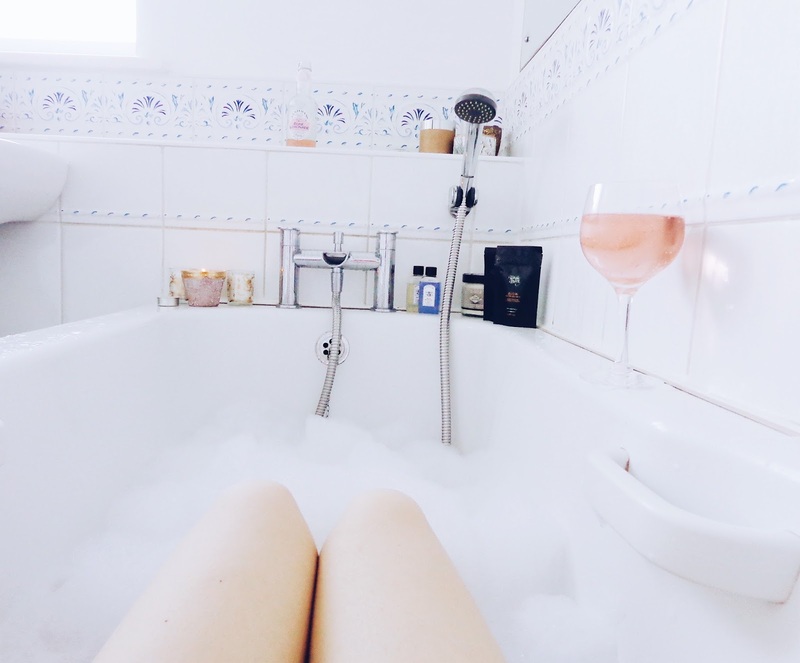 As you will already be aware if you are a regular reader of my blog, I love a good spa day, so if I can recreate a bit of that spa magic at home, then I will well and truly do just that! Think candles, tea lights, nice music, something fizzy (rose lemonade to be precise in this instance!) and you're on the right lines! 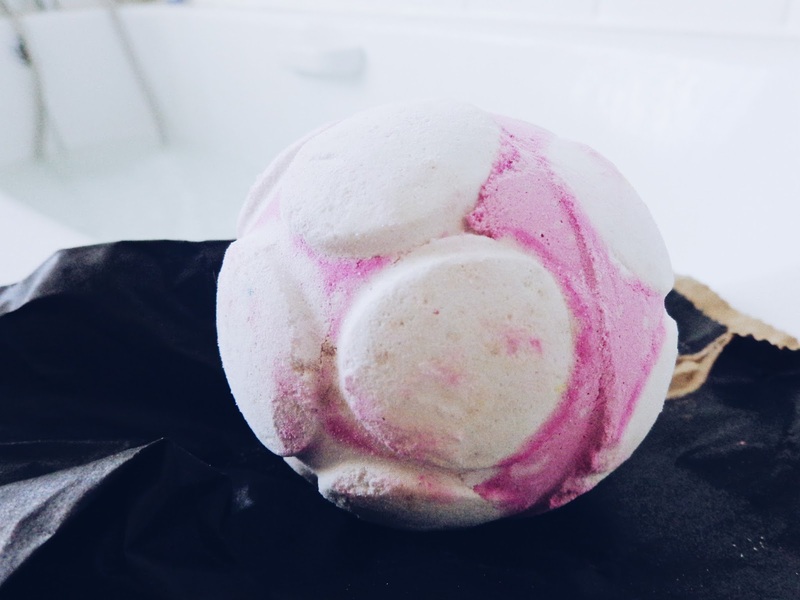 To create this rather exuberant bath, I've used a Lush bath bomb called 'Snow Fairy Jelly Bomb' as it has such a gorgeous pastel pink colour to it which I think is really fun. For total bath decadence, some of Kiss The Moon's 'Dream' Bath Salts, are ideal as they will help you relax and unwind. I have the Bedtime Bath Salts trial packs (50g which works out enough for 1-2 baths) in 'Dream' to soothe and ease as well as in 'Glow' to restore and nourish. You can check out the full bath and body products range including these lovely bath salts over on the Kiss The Moon website. Based in the English countryside, 'Kiss The Moon' was Founded by Jo Foster when she felt she had to get her own sleep pattern back on track to counterbalance the effects of a life filled with deadlines and jet lag inducing travel. The brand was then born out of a passion to help everyone achieve a beautiful night's sleep. 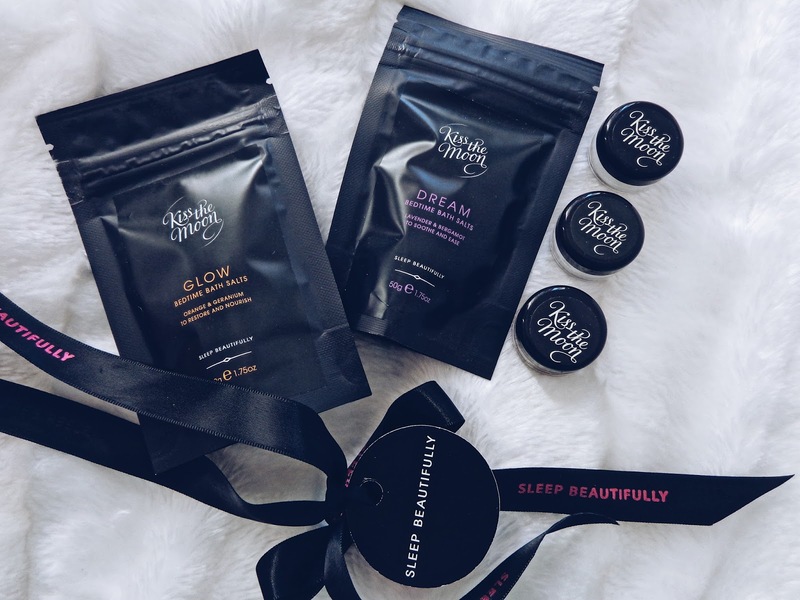 Using ingredients which are 100% natural, the beauty and wellness products which 'Kiss The Moon' has created help you to wake up looking beautiful and feeling wonderful too. The 'Dream' bath salts are infused with relaxing Chamomile from the daisy family (this is also a delightful calming tea), French lavender oil which is highly esteemed as a natural aromatherapy oil which induces restful sleep, Cedarwood, which is loved for its calming effect and uplifting bergamot to brighten up the spirit. All together, these natural wonders help you sleep beautifully. The Dead Sea Salts themselves are naturally filled with the element Magnesium (the sleepy mineral that helps the body make serotonin - the happy hormone - and instill a sense of wellbeing) which helps the body detoxify. They also have a delightful smell that I find rather irresistible. 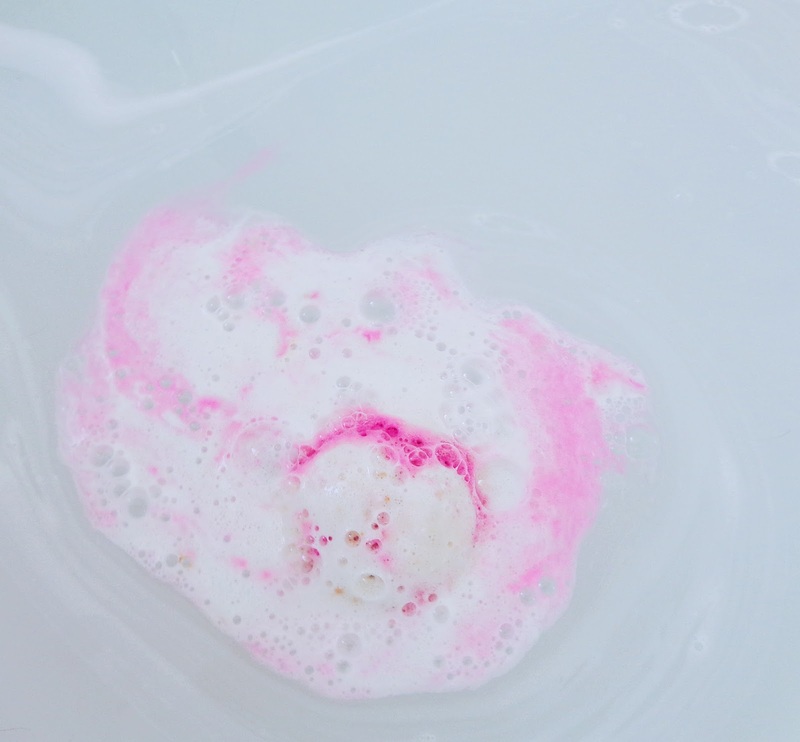 To use them you simply dissolve between 1 - 2 table spoons of the salts into your warm bath. Then simply lie back and relax, it's that simple! The 'Glow' bath salts are a restorative beauty blend of zesty orange (very festive! ), Geranium, Myrrh and Litsea to nourish and restore your skin and your soul at bedtime. Together these softening oils heal and rebalance skin’s natural equilibrium. 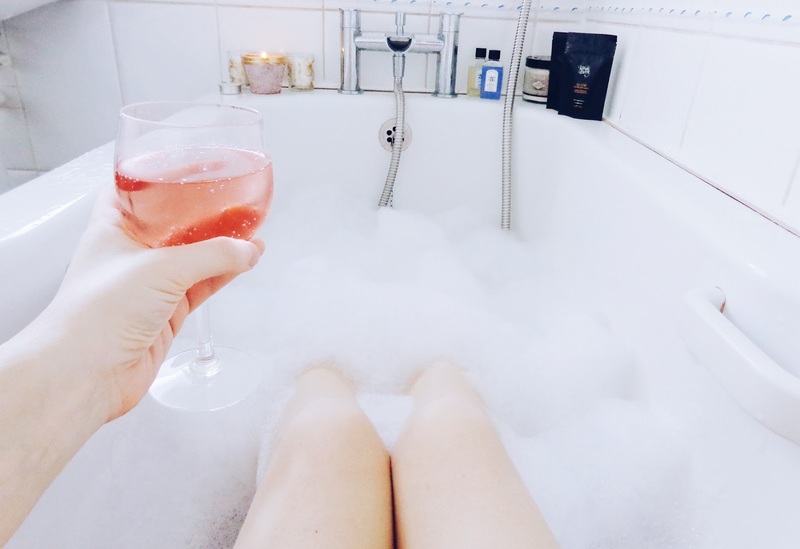 Fine grade Epsom and Dead Sea Salts detox the body and soothe the skin, whilst White Tea and Coconut Seed Oil provide an antioxidant boost that leaves the skin totally nourished and moisturised which can only be a good thing. 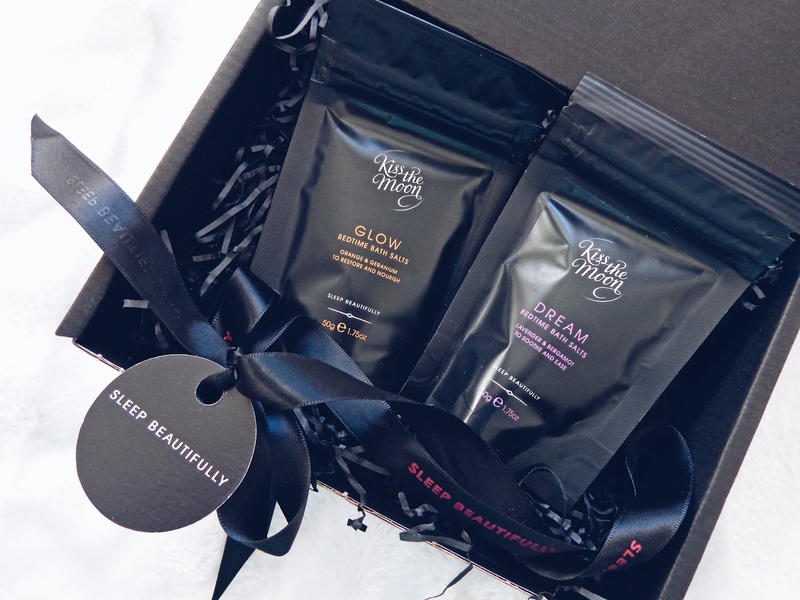 Shop Kiss The Moon's 'Glow' bath salts here. 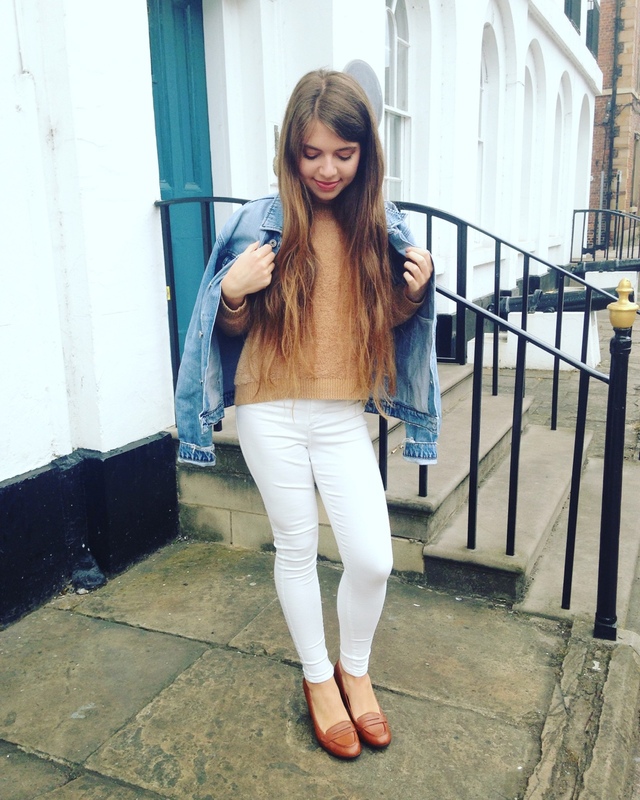 It is true that when you look good, it can really help you to feel good too. I'm not a superficial person but I would say it makes good sense to look after yourself and being glamorous can feel good! 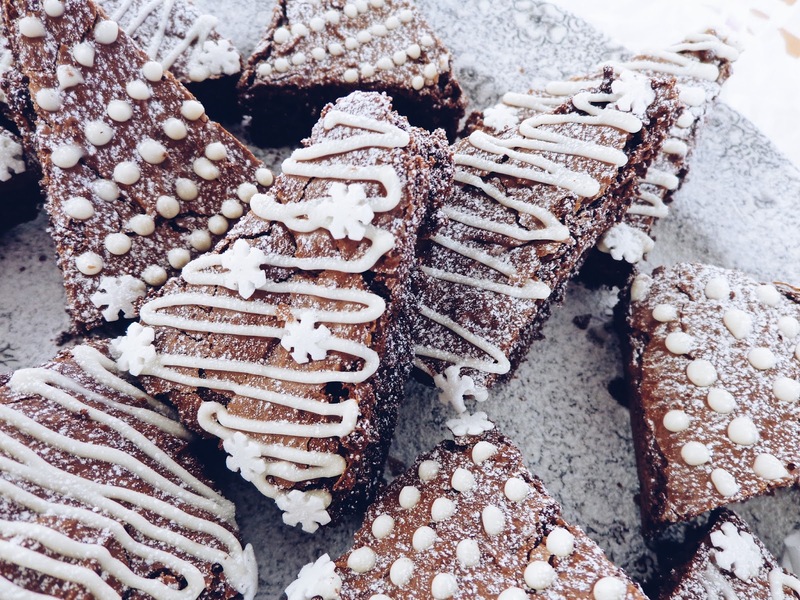 Why not go for a festive pamper session or better yet, do a DIY one at home? I like to use some snowflake nail art on mine because I just love it and it makes me feel more Christmassy! 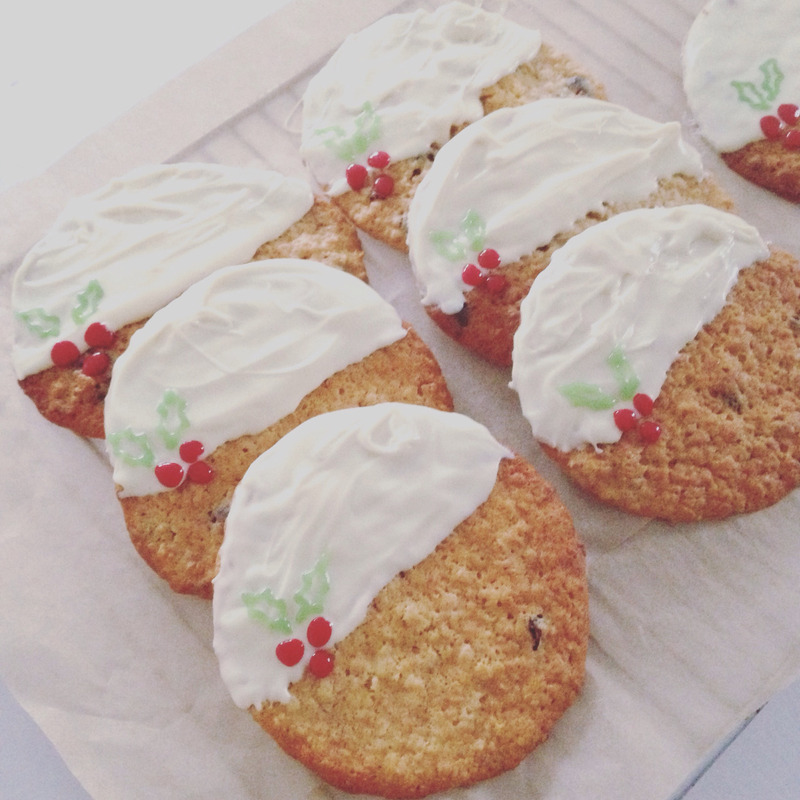 Okay you know it, I love baking and you've probably seen all of the recent festive bakes I've been whipping up. 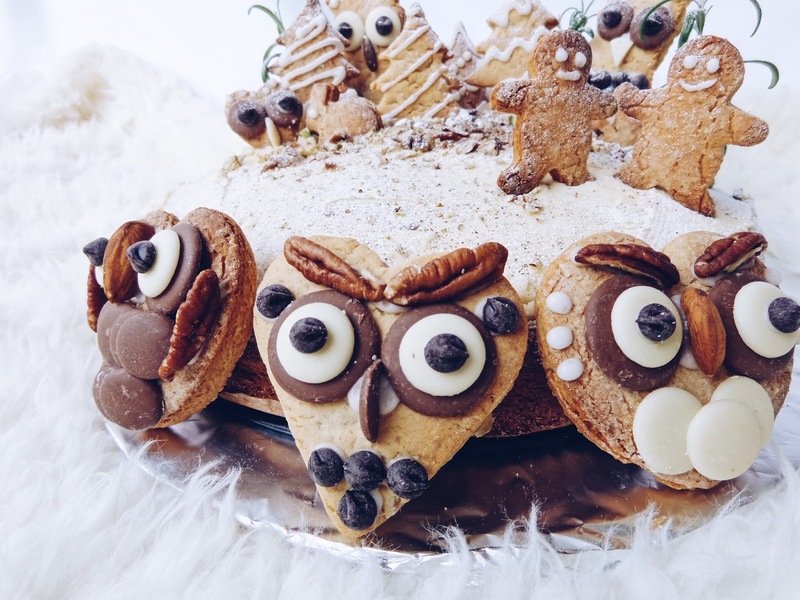 If you've got a free afternoon and are feeling a bit creative, a baking session could be just what you need! Below are a few examples of what I've been making and the links to check them out if you'd like to do the same. Some Christmas films are classics that will never go out of fashion. The Holiday (which I just watched a couple of nights ago! ), A Christmas Carol (extra points if it is The Muppets version! ), Home Alone or something Disney are all really great films to watch over Christmas as they are just so seasonal, it is a must. I like a movie night with cheese and crackers at Christmas, it just feels right, I'd definitely recommend trying it if you haven't yet!